Last week, Jon Washburn published a great post about 7 SEO Secrets to Dominate Your Local Market. I'll start with the first one, registering your ActiveBlogs and Businesses on Google Local. There are many benefits to doing this, an important one is just being found and getting some of that additional SEO. It only takes a couple minutes and it's FREE. You can create and upload your Office and Blog or Website information individually, or if you have a Company or Office with multiple addresses, you can upload an excel spreadsheet with all the locations and watch Google Local work it's magic. You'll find both of these options really easy to use. Enter your business information as shown below. Your listing will appear to the right. This is just a first step. After this has been completed, you will be able to upload photos and videos, specify categories, payment options and business hours and much more. Next you can add multiple categories, office hours, payment options, photos, video, and additional details you may want consumers to know. You can include up to 5 different videos. Final step is the validation which can be completed over the phone or by postcard. I used the phone verification method below. The process is completed and you'll show up on Google Maps within one business day. Why not take a couple minutes, register your Business and site on Google Local, and see what benefit it brings to your business? Provide all you can to the traffic, visitors, and those searching Google by the millions every day. You have nothing to lose except the 5 minutes it will take to complete these steps. The next step is to get your clients and business associates to write a quick review. Here's a link to our ActiveRain Business Office on Google Local. If you have an extra moment while you're here, we'd love your review. I wrote a post a while back on how to expand on Google local. If you serve multiple neighborhoods or markets why not list yourself more than once? You can list 3 times with easy confirmation, more than that requires some more work. As usual...great advice/tips! What would I do without you sharing your expertise! Thank you. Brad, I signed up last week for my business website, I didn't even think about signing up my blog. Thanks for the idea! I'm headed there now. Brad... damn, some awesome information, once again... I guess I will work on this tonight. Thanks for the tips and suggestions. Brad - Excellent tips here, as always! I had done this for my company, but I never thought about doing it for my blog separately. That was easy. I'm always looking for additional ways for people to access my services! Always great advice, thank you...always look forward to your tips and advice. Thank you Brad. Great advice and I just completed it. Piece of cake. Keep the great blogs coming, I love to read your advice. Great idea. Never knew you could do all that. Keep up the good work and keep passing it on. Brad: Thank you I will do it today! I need all of the exposure I can get being an independent broker. Wow, how did I miss Jonathon's post on SEO. This is a great tip. Off to take care of things. Bookmarked, will take care of bizness tonight ! Simple. 5 minutes. Thanks for the tip. I have mine registered in the maximum amount of towns you are allowed. I wish it was more. This is a great tip Brad. Brad- Comment above is mine. Firewall doesn't let my laptop "remember me." Forgot to sign in first. Brad - Thanks for the tip. I will definitely take care of that today! Brad - Thank you for the tip! I am going to do that for both of my businesses!! Thanks, Brad. I just did this a few weeks ago, but, had not signed up my blog. Great idea! Brad, thank you. I did not know about this --- will be registering my company and my blog. I never heard of this, but I'll try it. Can we do this even if we are not an owner of the brokerage firm? Just register the name of my website and blog? Brad, I didn't see Jonathan's blog so thanks for the link. I'll get started with this this afternoon. We've been working on several computer projects this afternoon. I can't begin to tell you how happy I am that you post these tips. Because of ActiveRain and the advice you give, I have successfully achieved first page Google Search. Now to get to the number one position - with all the pointers you give me, I am sure I will achieve this goal as well. Brad- Awesome tip! Thanks for passing this along. This is going to be really helpful to a lot of people. When you put in your company name do you also put your name after the company name or company name only? Does your broker care? More good tips and work to do. I did try this some time ago, but was unsure about some things. But, I'll try again. Thanks again Brad for the great information! Hi Brad -- I ran across this (can't remember how) a month or so ago, did it, and the process was easy and very fun to watch my business pop up! I didn't know about registering a blog, so thanks for that tip. Am I ever glad that Katie Van Nes from Abbotsford, B.C. invited me to play in the 'Rain! I owe her (and you) BIG time. Guess I'd better buy her a drink at Family Reunion. I'll have to send you one, Brad! This AR is community is great! We are a national service so I will have to look at how we can make this work for us. You mean folks had not done this or didn't know about it. It is awesome. Brad, Thanks to Active Rain, we are all ahead of the curve. I wonder HOW much money Active Rain has brought to it's members? Hummm... I may have to write a post and ask just that question! Now, if I only understood all of this technical stuff, rotfl. you are so smart ..i did this ..received the return call from google ..i do love ActiveRain..you are the wiz.. This is quite amazing -- Google has so many tools available. Thanks for the heads up -- I'm registered. Thank you so much for the information, it is so great when people share these great ideas! I did this a while back and received a few calls. I see they've added some more features- thanks for pointing us in the right direction! Hey I just signed up for it, so quick and easy, thank you! Brad - Rock on ! Thanks for the homework assignment. Will add this to my list for the week - is a great idea ! Wrote a review for AR. My favorite network on the WWW! Hope you will visit my blog about my new website. I would really like your advice, if you get a moment. Great idea, Brad. This reminded me that I needed to change from RE/MAX Metro to ALVA International, so I just went in and editted my account. thanks. Great information Brad! Thanks for explaining this so in depth. I think I can do it now! Brad Andersohn ~ Community Builder-Brad I know about registering your business. But I didn't know that you can register your blog. Thanks for sharing. I am going to do so this week. Great post Brad. Hi Brad! I was taught to register via a different site and there was minimal info that you could input. This looks FAR more detailed and I am definitely going to get this done ASAP! Thanks SO much for sharing. It was so easy even I could do it! It took all but 15 minutes. Now I'm going to look for some people to create some coupons. Fantastic tips. I did this a while ago... although it was a minor pain in the a$$ having them calling me to verify... But all sort out now! Consider that taken care of. Thanks for the info man! Thanks for the tip on this -- appreciate all you guys offer and do. Brad, sometimes the little things in life bring us the most joy! Thank you for this. Fun and easy. I didn't know about this one...thanks for sharing...unbelievable info! That was easy. Thanks for the tip. How do you find this stuff? Huh. I'd never heard of "Google Local". I'll have to do this right away. Thanks for the info and the link. How are you? I have tried to get aphot or banner on my outside blog and it will not happen. Who can I call for help? Hi Brad, thanks again for the great post! I finally decided on a website provider and can't wait to put your tips into action. Great tip - I love your posts - but you do create a bit of work for me. See? I just "shows to go ya"...you never know what you don't know until you know it! I went on immediately and signed up both of our offices. I will embellish them as soon as possible! Hello Brad! I created one of these a couple of weeks back and I am pleased with the outcome thus far. I can see where it has increased traffic through my website which is always a good thing! Thanks for your posts as always and happy blogging! Thanks for the reminder. I had registered long back but did not have anyone write reviews. Great info. I didn't know about Google local. I am off to register now. This is why I love active rain, it keeps me active! Google Local is "the place" to post your business, but in the spot where it says enter your website, this is where I recommend entering in your ActiveBlogs. This will drive traffic to your Blog, and with the mapped directions to your office, hopefully traffic to your front door. Thank you for sharing all your tips and advice! You are the best!!! Excellent tip - Google has so many tools available to help promote your website. Google is my friend...Google is my friend...!!! Brad great infomation will try to get that done today. Love all the great posts. Brad -- I hadn't heard about this one! I specialize in a few select neighborhoods, so this is fantabulous. Thanks so much for the information -- just yesterday I referred to one of your old posts and it helped me add some fun widgets to m right nav. Thank you for sharing! I will definitely add myself onto Google's Local Business Center! Another great post Brad.....I love all these tips you keep sharing. As always, you have very clear and informative posts. Love the visual illustrations, not just words. Thanks for keeping us on top of our business opportunities! Thanks Brad!! It was painless and took only a few minutes. I added a couple of coupons...Free Home Evaluation and a Free FSBO consultation...one never knows! What a great tip; I registered mine. The free coupons and consultation are a great touch; I'm going back and add them. Be sure to check out the video I added, very cool!! As a new member to AR thank you for this information. Thanks so much - I'm working on this now! Thanks, Brad. I'm on it. I'll let you know how it all works out. What would we do without you. You just keep pouring it on, with no end in sight. Thanks. Thanks Brad. Once again, great useful info. I just added myself and my company. Brad, how cool is that, Thank you again! Thanks for the reminder to do this on some new things I've been working on. I had done it on other sites, probably at your prompting some time ago when this was first mentioned. Your tips do rock! As always, great tips, Brad. If only I could keep up with them all! We will definitely check out Google Local. Congrats on your almost one year anniversary, too! Wow, thank you so much for the helpful information and the thoroughness with which you deliver it. I think that before I check out ANY blog, I should simply go on auto pilot and check yours. I could have saved myself a lot of time just looking at all the wonderful tips you give us. Working on those coupons now. Brad - I'd forgotten all about google local when I moved and started my own real estate company. That's first on tomorrow's list. Thanks so much. Great info Brad. I am off to check it out and see if I am already registered. It's so great to go back and read the posts I have missed due to the whole freezing computer thing. Thanks for sharing this information with us. I love this site so much!!!! You are so generous. Thank you sounds so flat when I'm so grateful. Wish I could give something back for all you do for us. Just one more reason to the millions of why I love this site. Thank you Brad! I just registered and it took about 3 minutes. How cool is that! There seems to be a lot to learn to be proficient at this blogging/marketing. You guys really help a lot and should know how much we "newbies" appreciate it. Thank you. Thanks so much frm another "newbie". There truly is so much to learn for us not so savvy folks out here. All info is appreciated. Very cool. I had no idea that was possible though I had seen it on some of the businesses I call on. Thank you. 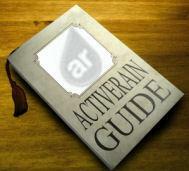 I'm a newbie to ActiveRain as well. Brad- Thank you. It was quick and easy and the best thing of all it was FREE I love those! I learn something new everyday on Active Rain thanks to people like you. Hi Brad Andersohn. Thank you so much for the post! I'm just starting out, and this information is great. I'm going to google local right now!